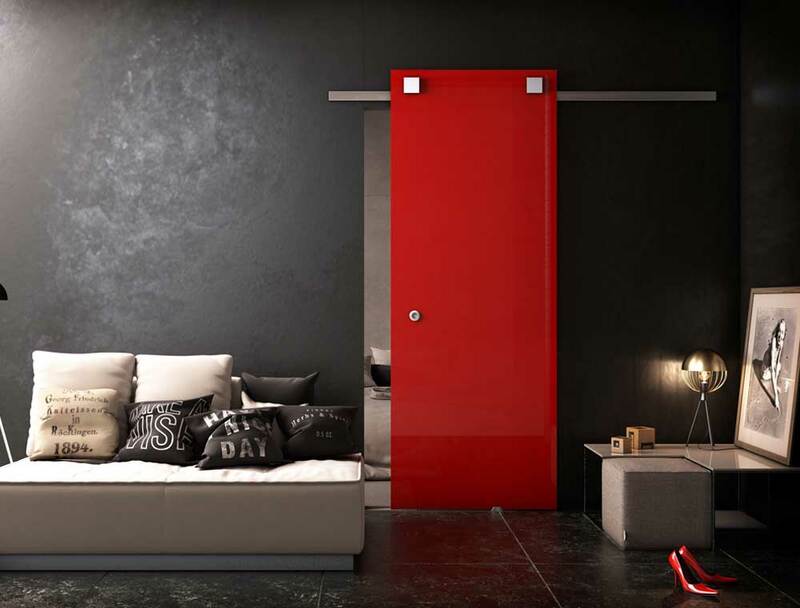 An innovative system for glass sliding doors with visible sliding track guides and austere, minimalistic appearance. The system consists of two rollers, covered with square lids made of anodized aluminum. They can be adjusted to any height, while the track guides include a counter-derailment mechanism. The system can support a maximum glazing weight of up to 80kg. The glazing’s thickness can be from 8mm to 12.5mm. The door can be single or double winged. The system is used for the formation of glass doors in indoor spaces. It is ideal for residential spaces as well as for professional spaces (offices, shops, infirmaries etc.). Contemporary design: The sliding glass door SL Diva offers a distinctive, contemporary style in both residential and office spaces.